The Participatory Citymaking project would like to make you aware of the EU Horizon 2020 project Designscapes, in which Ingrid Mulder and the TU Delft are involved as well. Their Open Call for Pilot Proposals is up and running. They are looking for innovative designers, entrepreneurs and public officials eager to tackle urban and social challenges with design enabled solutions. First open call closes on the 26th of October! Two more calls will follow in 2018 and 2019 for prototyping and scaling. 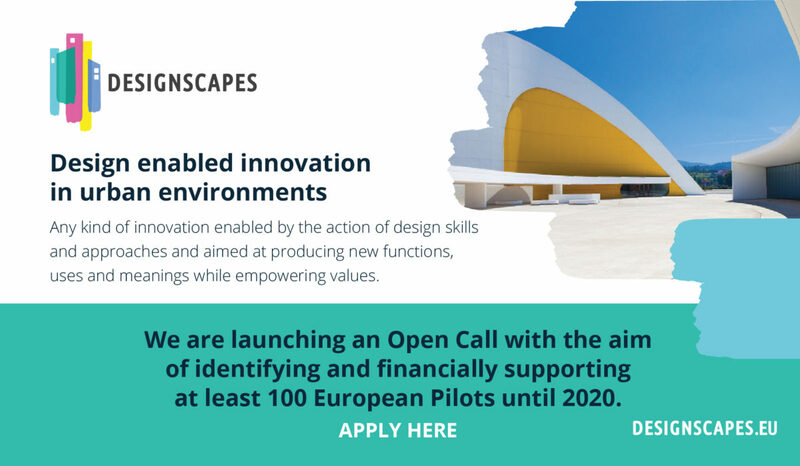 Designscapes is a H2020 project under the topic CO-CREATION-02-2016 – User-driven innovation: value creation through design-enabled innovation. 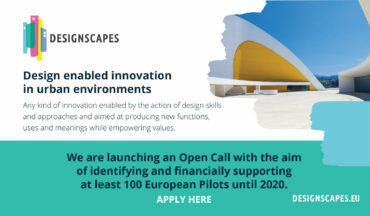 The overarching aim of Designscapes is to exploit the generative potential of urban environments in the highest possible number of European cities to encourage the uptake and further enhancement and upscaling of design enabled innovations by existing enterprises, start-up companies, public authorities and agencies, and other urban stakeholders.